Your vehicle selection is daunting. There are so many car brands, vehicle styles, and option packages available that it makes choosing one vehicle very difficult. How do you know which one is right for you? Style is the appearance and function of a vehicle. It can be purely esthetic or it can include cargo-carrying capacity, seating configuration, and passenger capacity. Performance is how a vehicle accelerates and handles. High-performance vehicles often have sport-tuned suspensions, low-profile tires, and high horsepower ratings. Safety often includes the number of airbags, safety-related technology like a backup camera, and mechanical functions like anti-lock brakes and traction control. Efficiency is most commonly regarding fuel efficiency. Larger vehicles typically consume more fuel than compact cars and larger engines usually burn more gas than smaller ones. Price is more than just the sticker price. It includes registration and insurance costs and operating costs such as fuel and maintenance. It’s important to note that there can be several vehicles that fit your criteria and you will still have to narrow down your choices, eventually deciding on just one. You will need to decide which key indicators are most important to you. 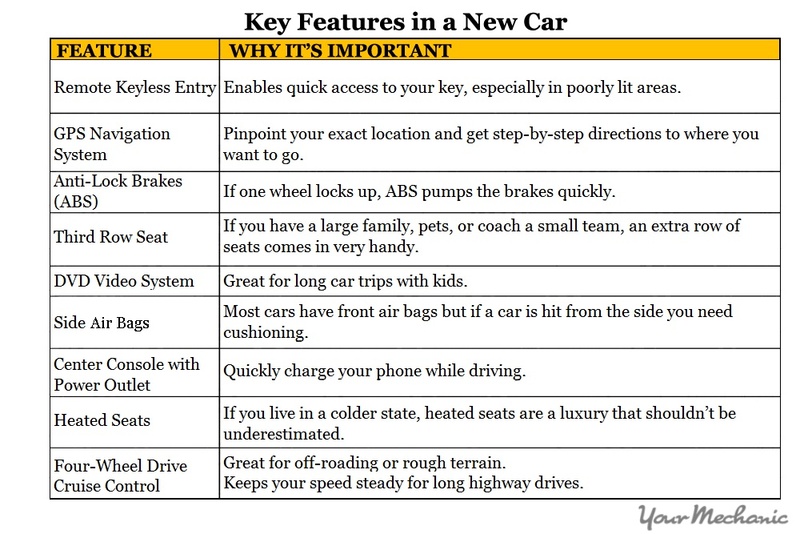 Step 1: Rank the car's key features. Rank your key features in the order of importance to you. 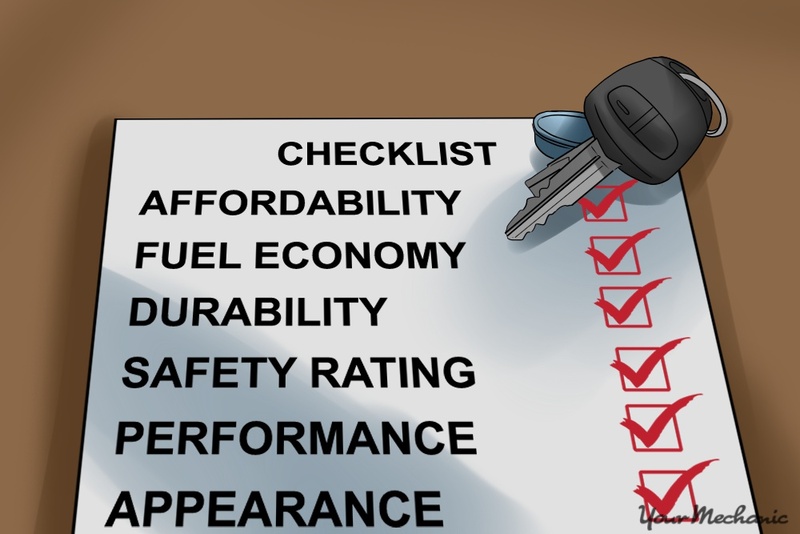 These criteria will be the basis for narrowing down your vehicle choice. Step 2: Rank the price. 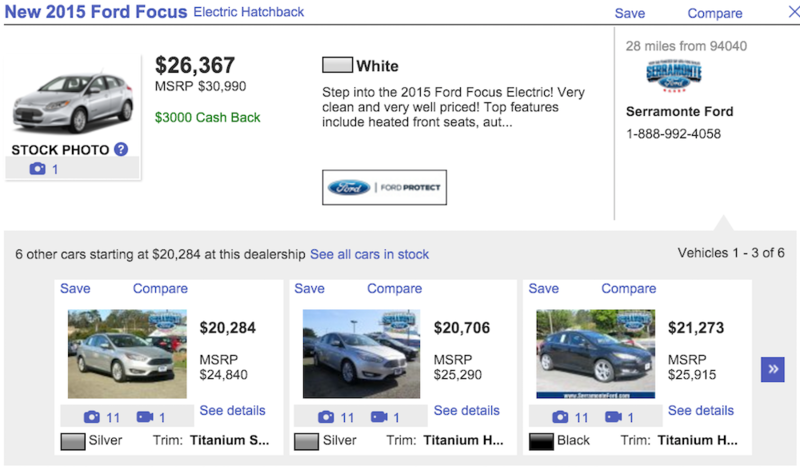 Price is nearly always a major factor, ranking high for every vehicle purchaser unless money is no object. Step 3: Rank the vehicle's fuel efficiency. If you drive your vehicle extensively as a commuter or for family vacations, fuel efficiency should be high on your list. Step 4: Rank the safety. If you are especially safety-conscious, as many parents with small children are, vehicle safety ranks high. There are dozens of car manufacturers on the market today, from economical domestic and import car makers to foreign luxury brands and exotic sports cars. You’ll need to narrow down which ones may be of interest to you. Step 1: Check online. Check the internet for authoritative rankings or reviews. 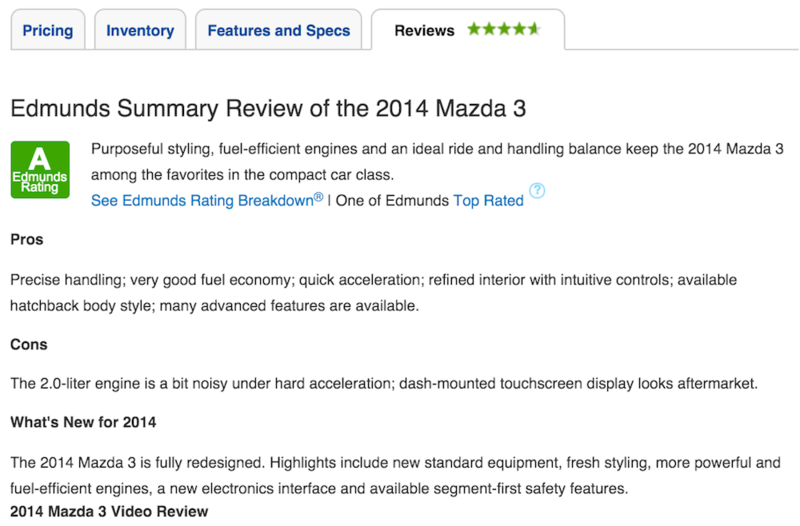 Sites like Edmunds.com have reviews for new cars listed by brand, style of vehicle, price, and more. Research several makes and models to discover if they are of interest to you. Step 2: Narrow down your search. Narrow down your search to 6 or so vehicles that fit your highest-ranked key indicators. This list may not have the vehicle you decide to purchase in the end, but there is a high likelihood you’ll find yourself on the right path. Step 3: Consider your budget. Determine if the vehicles you’ve selected are in your budget. If they are not, strike them off your list right away. Step 4: Compile a pro/con list. Write a pros and cons list for each vehicle on your list from the reviews and information you’ve found in your research. Step 5: Rank your list. Rank your list of vehicles in order of their desirability to you. This is the order you should look at each vehicle. Part 3 of 3: Check out each vehicle on your list. Step 1: Find listings. Whether you are buying new or used, or whether you are buying privately or from a dealer, find listings for each vehicle you are interested in. You can search online listings such as AutoTrader.com and CraigsList.org or find ads in the local newspaper for autos for sale. Step 2: Check out potential vehicles. 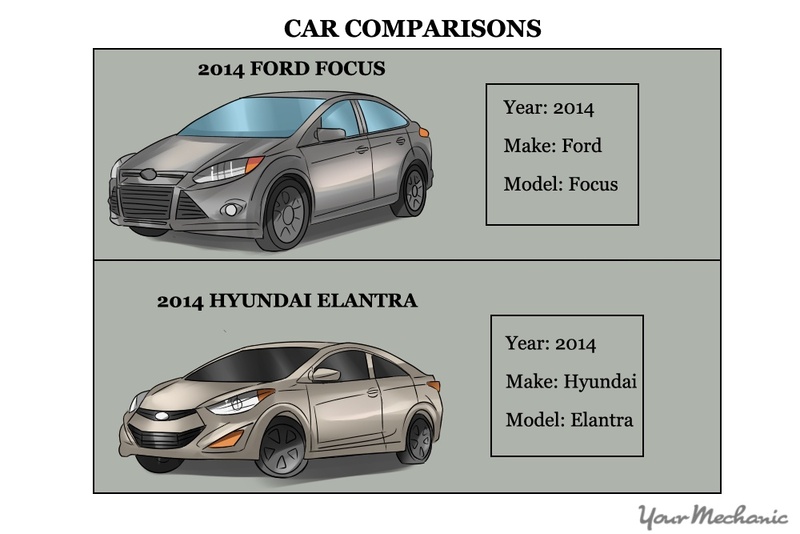 Check out each vehicle you’re interested in, keeping in mind your key indicators and your pros and cons list. Step 3: Sit in the car. Sit in each car to determine if it is comfortable. Step 4: Test drive the car. Take the vehicle for a test drive to see if you are comfortable handling it on the road. Step 5: Familiarize yourself with controls. Become familiar with the controls, options, and the layout, analyzing if there are items that are positive or negative to your buying decision. Step 6: Rank the vehicle. Rank each vehicle you look at and test drive. Keep the top three on your list and drop the others. Step 7: Revisit vehicle if needed. If there isn’t a clear choice to you, make a repeat visit to each vehicle. Step 8: If not interested in any, adjust vehicle search. If you aren’t excited about any vehicle on your list, take your newly-obtained information back to Part 2 and narrow down your vehicle search again. After selecting your top three vehicles, narrow down which one fits your needs the best and has the best value for you and make a deal. It may not be the number one choice on your list. It is completely subjective, and you may find that the vehicle you want the most is not necessarily the most practical. Q: How do the side curtain air bags work? Q: Recently replaced ABS control module and when we went down the mountain on 40 towards Old Fort, it vibrated HORRIBLY.